A healthy website is a successful website. A website is an important piece of your marketing and communications efforts. It’s your marketing hub. So, it stands to reason that your website needs regular checkups between redesigns. A healthy website is a successful website. You want to keep your website fresh, engaging, and running like a top. Is content the only thing that needs updating in between overhauls? It’s important, but there’s more. I don’t care what anyone says, content is still critical to the success of your website. Your content is what builds links organically. How? Create good content, share it to your audience, and they will share it theirs. Generate useful content and people will reference it with a link in their posts or in other bits of content. Nothing works like utility content for building links, shares, and mentions. Utility content is content that helps someone solve a problem. It’s things like how-to posts, lists of resources or tools and why your audience needs them, and explanations of concepts, making them easy to understand. Utility content is what turns your organization from being “just another business” into “a valued and go-to resource.” Generating content that helps someone – written, video, podcast, graphical, long form, short form, downloadable – is the best way to build a fan base. This fanbase will then become regular sharers of your content, whether in their posts, or on their social channels. These shares/links/mentions all build avenues back to your content, on your website. This is how you build positive and sustainable traffic growth. How often do you go back and reread your content? Whether it’s page content, post content, video, etc., it has a shelf life. Things change. Trends come and go. You might have content on your website that is horribly out of date. Or you could be sitting on a gold mine of potential new content. Go back through your old posts. Reread them to make sure the concepts are still relevant. Make sure the post was optimized for search engine visibility. Sometimes you’ll update a post so much that you want to reshare it. Just make sure that you’re not passing off old content as new. If it’s an update, call it an update. If it’s a complete re-write, call it new. Just use your best judgment. You might also have content about people who are no longer with the company. Or you have pages for services you no longer offer (or worse, no pages for services you do offer). Make it a point to keep the content on your website up-to-date and relevant. The search engines will take note when you make updates. And if they deem the updates to be an improvement, you will likely see an increase in your referral traffic. I’m certain that no matter how much SEOing you’ve done to your site, you could always do more. SEO is a process. To be clear, you will not rank without good content (see above). 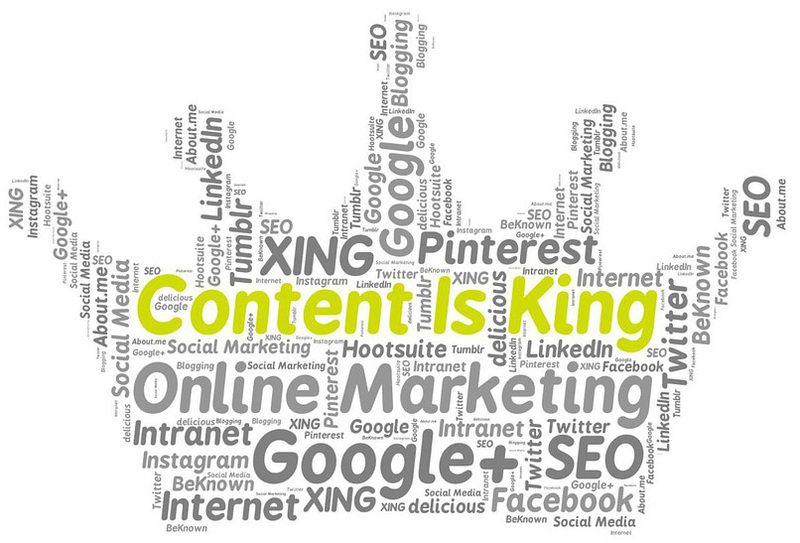 Content is the most important piece of your website’s makeup when it comes to search engine optimization. And no, SEO is most definitely not dead. But, things have changed over the years as search engines (Google, Bing) have fine-tuned their algorithms to weed out spammy or low-quality websites from the SERPs. Keywords do still matter but a strategy based on context is going to rank much better than one focused solely on keywords. Be certain to check your analytics on a regular basis. This will tell you what pages are working, and which ones are not. They will also tell you what the referring domains are. These are the sites where the user clicked to get to you website. Unfortunately, Google Analytics (the free and popular analytics utility) no longer shows which keywords your audience is using to find your website. A great tool for tracking keywords is SEMRush. This tool will not only tell you which keywords are driving traffic to your website but also which keywords are working for your competitors. Auditing your website to check for keyword density based on the words you’ve found in SEMRush or similar tool. Updating your tags, titles, and descriptions. Yoast is a great tool for this and other SEO needs. Add and update schema markup, adding information that Google can use in the cards you see in the SERPS (search engine results pages). If you’re using WordPress, the WP SEO Structured Data Schema plugin by KCSEOPro.com is a handy tool for this. Check your speed! Slow sites do not rank as well and their faster competitors. Looks for slow scripts you can eliminate and images a videos that may not have been optimized. You can check your speed and any issues using Google Page Speed as well as browser plugins and applets for Chrome and Firefox. Take care not to flip out when you get your results. Just focus on the issues you can fix like image sizes and unnecessary scripts. You won’t be able to correct every issue that is listed in your test results. And remember, the easier your website is to use, the better it will rank. Google knows. If you use WordPress then you’ve seen the update notices in the dashboard. Drupal is not quite as regular. Oftentimes, the updates are there to patch a security vulnerability or fix a known bug. So, keeping your CMS and plugins up to date will keep your website safer and performing at its peak. But, fight the urge to click that update button until you’ve discussed it with your web development team. Sometimes updates can cause issues with the theme, plugins, or other functionality. You’ll want to stage the site on a dev server and update everything there. Then take it for a test drive to check for bugs or breaks. And, make sure you have a full backup prior to doing any updates. It’s a good idea to run at least two regular backups. One is made on the hosting server. The other will send all website files to an off-site server. 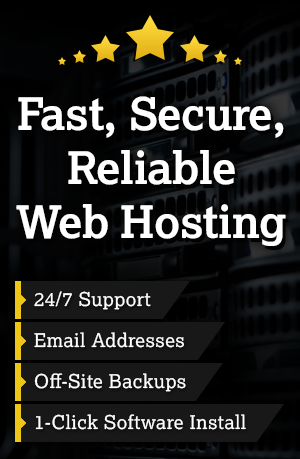 We recommend choosing one of our large website hosting packages which includes monthly off-site backups. The overall cost is cheap and it gives you peace of mind when the unthinkable happens. Sometimes it might be as simple and a full local backup on a removable drive. The only issue with this is if that drive is stolen or if it breaks. This is why multiple (at least two) forms of full-site backups are recommended. These are great conversion points to track and improve upon. A comment on a blog post is a signal that the post was engaging. It shows that people are reading your content. Make sure you encourage commenting by asking for readers to share their position in the comments section. Make sure your comment utility is functioning properly. It looks bad when it’s not. And don’t get discouraged if you don’t get any comments on a post. Lots of your post engagement might occur on your social channels where the content is shared. Make sure you engage there as well. Some of those comments may inspire a follow-up post on your blog. Always look for ways to keep the conversation going. And do it using your website as the hub. Performing these tasks on a regular basis will ensure that your website is functioning properly, is optimized for search engine visibility, and is easy to use and engaging for your target audience. These tasks will also make a full website redesign a lot easier. You’ll already know what works and what doesn’t. And you’ll be prepared when your web design team asks for site content. You will know what keywords are working for you so you can include them in the navigation and tags.